Danielle Moodie-Mills on Trump's win: "This is white supremacy's last stand in America"
Home conservatives Danielle Moodie-Mills Donald Trump politics Danielle Moodie-Mills on Trump's win: "This is white supremacy's last stand in America"
Political correspondent Danielle Moodie-Mills joined the Canadian Broadcast Corporation's election night coverage to tell the world exactly what so many of us are feeling about Trump's win. 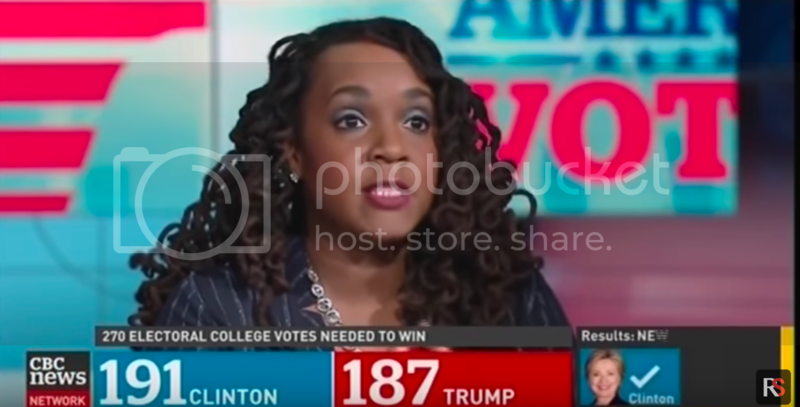 Moodie-Mills explained to the host that Clinton's loss is not just about the country's sexism. The activist was talking about the wave of hatred Donald Trump embraced throughout his campaign. Most people of color have recognized that Trump's movement is bolstered by hatred.